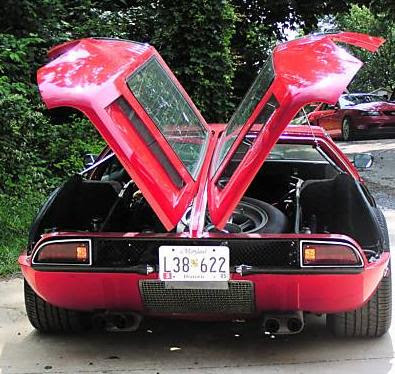 This 1969 Mangusta is being offered on eBay. Only 400 or so Mangustas were built and it's said that less than 200 survive worldwide. 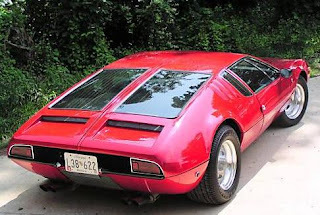 As a driver the Mangusta was not a great car. It was not very reliable, hot, noisy and chassis flex gave it odd handling characteristics. Who cares? I'd put up with all that just to see and be seen in this car. 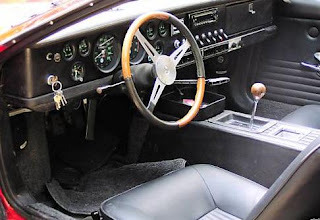 I'm not going to write a blurb about the car's specs or history. This post is all about the looks. Below is a link to a website that can give you all the technical info. Located in Elkridge, Maryland, click here to see the eBay listing for this car. Mangusta International has a very well done, very comprehensive website. You can find it here. 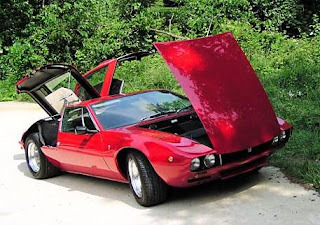 The gullwing doors at the back are unusual - most supercars with gullwings have them for the doors.